Inquisitor Gideon Ravenor is hot on the trail of his resurrected nemesis, Zygmunt Molotch, but faces criticism from his fellow inquisitors for the death toll his operations on Eustis Majoris have caused. With Molotch on the run and millions of lives still in danger from the prophesied rise of the daemon Slyte, Ravenor is forced to go rogue to complete his mission. 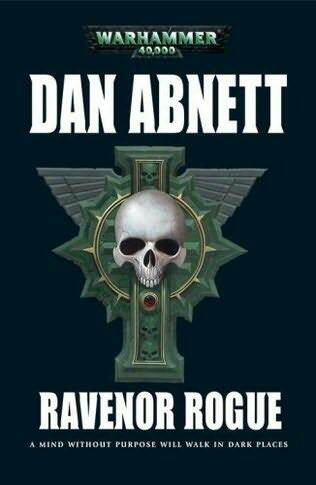 Ravenor Rogue concludes the Ravenor Trilogy in fine style. As usual, Abnett delivers a superior slice of action and adventure, but here engages in some unexpected meta-commentary on how long quests (including series climaxes, like this one) often end in an anti-climax due to expectations being raised. Both Ravenor and Molotch discuss how their seventy-year feud will end in one of their deaths, but as they are both defined by this rivalry that day will not necessarily be a triumph for the victor. A pretty well-established idea, but here treated with a degree of thorough seriousness which is unusual. Of course, this does not slow down the furious pace (as usual, Abnett packs a hell of a lot into 250-odd pages) or interrupt some well-handled character development (although, after two books of being built up, Zael doesn't have a lot to do). On the more negative side, the book does end in a somewhat over-the-top (even by Warhammer 40,000 standards) sequence which feels like the author had binge-read the entire Cthulu mythos before writing it. Expect tentacles. Lots of them. Ravenor Rogue (****) brings the sequence to a generally satisfying climax, although there are a few unanswered questions for the eventually-promised third Inquisitor trilogy. 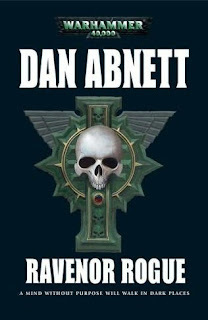 The book is available now as part of the Ravenor Omnibus in the UK and USA.